Historically speaking, wearable technology has been as much an exploration of materials as it has been of functions. This corset, made out of stiff yet mouldable polyethylene plastic, was designed to provide torso support for polio patients during recovery and therapy. 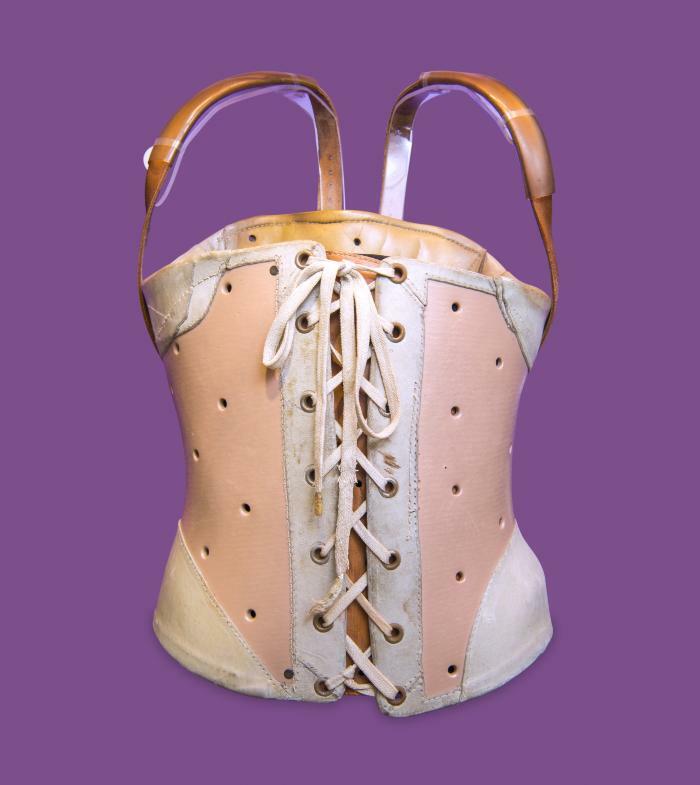 This corset was made at the Hospital Ste-Justine in Montreal for a young patient to provide support and mobility during treatment.